Everyone has a fear. Fear of spiders? Arachnophobia. Fear of small spaces? Claustrophobia. And of course, the fear of being tickled by feathers: pteronophobia. Sophie Smart fears drowning. No, her fear isn’t some made up malarkey like exposedflabophobia (acute paranoia when wearing a swimsuit and baring pasty thighs and a round bottom). Sophie drowned as a child. She died for three minutes. Her childhood trauma is real. Yet Sophie, hot-shot advertising executive, isn’t a child anymore. Now Sophie’s most important client, handsome Matthew Silver, is insisting she learn how to swim. She can’t blame him really – he’s the owner of a chain of swimming centers, and Sophie’s in charge of his new advertising campaign. 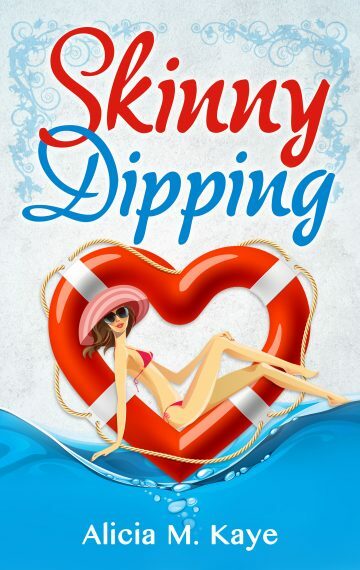 The last thing Sophie wants to do is get in the water, in a clingy swimsuit, with a client she’s trying to impress. She’s not going to win him over flapping around like an idiot, is she? But with a broken heart from her last relationship, maybe getting into the pool is just what Sophie needs. Maybe she can trust Matthew with her fears. Maybe it’s time for her to forget about her past and take the plunge?